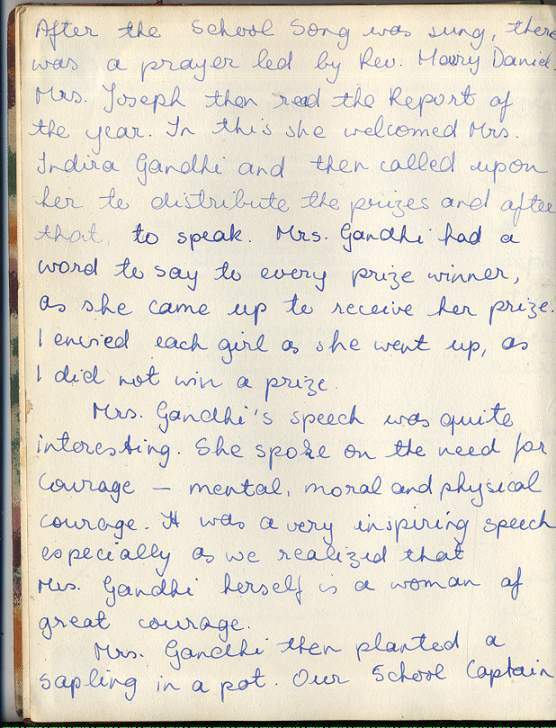 I am receiving a prize from Mrs. Indira Ghandi for Art. 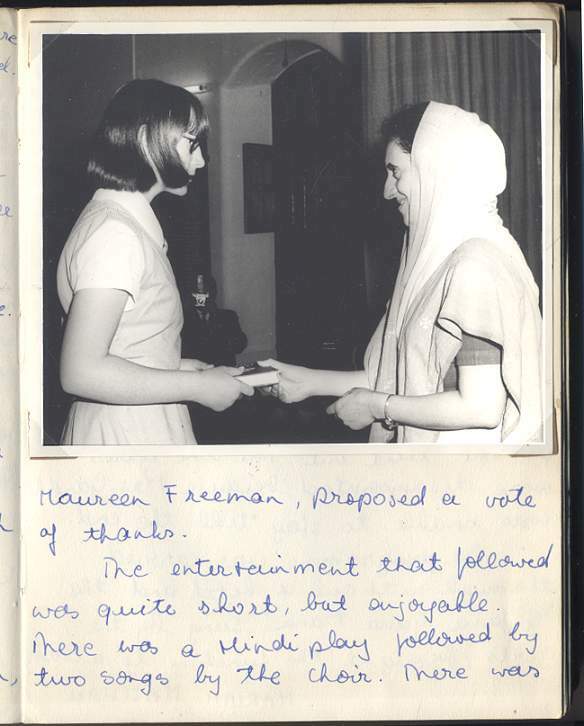 More photos of Mrs Gandhi at Prize Giving and planting a sapling, here. 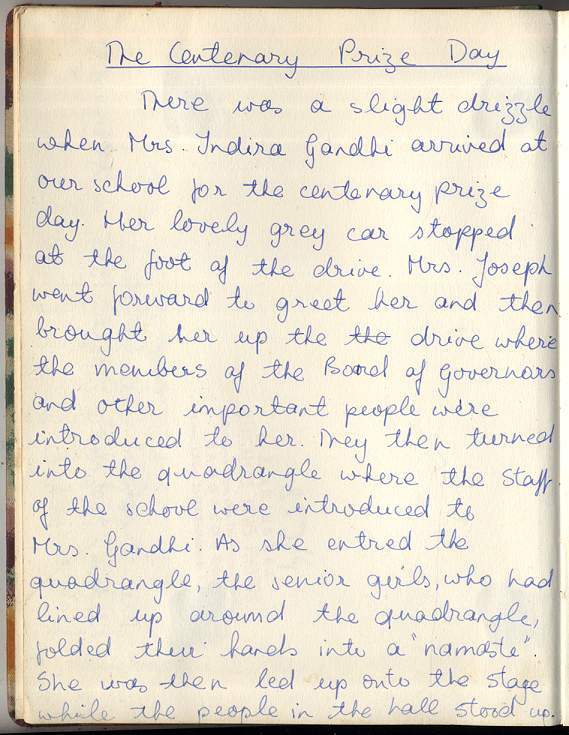 1965 Centennial Celebration -- Indira Gandhi comes to give out prizes! 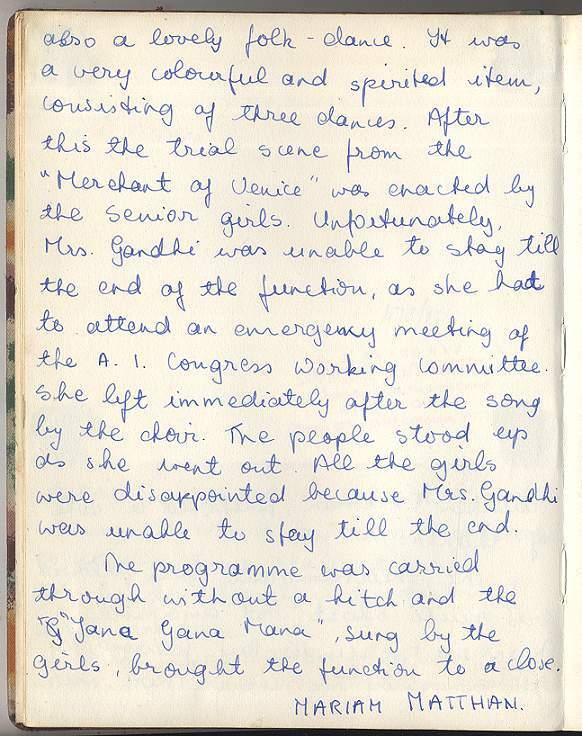 I copied this description by Mariam Matthan into my notebook in 1965.